Born at Bethany on 24 April 1908, the first of twelve children, he completed grade 11 at Bethany School then, in 1936, got a journeyman’s electrician certificate. He and his brother Art worked in the electrical business from 1947 to 1952 when he and brother Vernon opened H & H Electric & Appliance store in Minnedosa. The business was sold in the 1970s when he moved to Estevan, Saskatchewan to work for the Co-op. He returned to Minnedosa in 1973 to a job at Townview Manor. 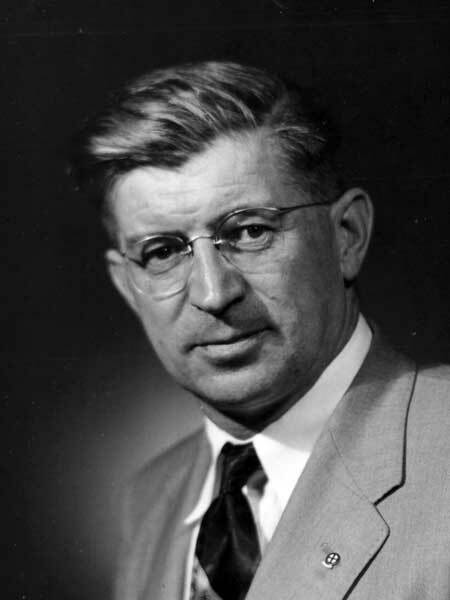 He was a Social Credit candidate in the 1953 provincial election, being elected to the Manitoba Legislature for the Minnedosa constituency. He also served as a member of the Minnedosa town council and a member of the Board of Directors for the Childrens Aid Society. He was a member of the Manitoba Elks Foundation and a life member of the Royal Canadian Legion. He called square dances and played his violin in an orchestra. He died at Minnedosa on 20 January 1995 and was buried in the Minnedosa Cemetery. Obituary, Winnipeg Free Press, 28 January 1995, page 54.